Give your driveway a whole new look with some plant pots that are full of colour and full of life. 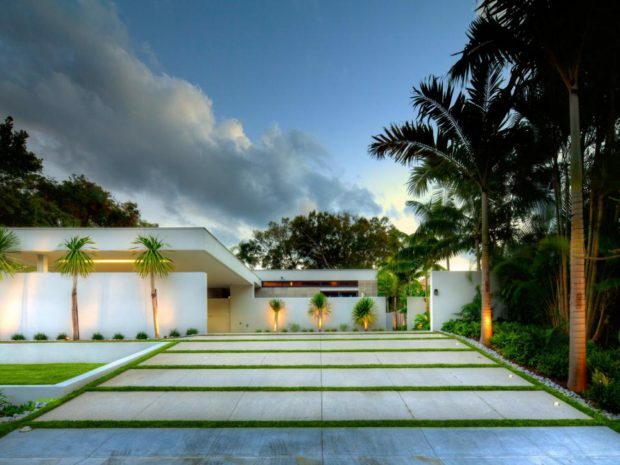 The best way to make your driveway look new and inviting is to place pot plants, flowers or even plant plants along the side so that your driveway looks regal, elegant and vibrant. 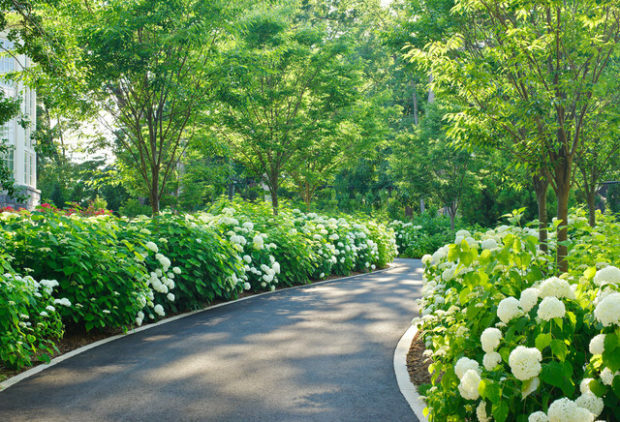 Edging your driveway can make it look more presentable, neat and easily separate your drive and lawn. Having your drive way edged can make it easier to maintain and make sure you never again accidently end up with one tyre on your nice green grass. For a cheaper option there is a rubber style of edging available that does all the same jobs and even adds a little bounce when you accidently hit it. If you have a large drive with more space you can even opt for a kerb style edging that can add pattern and a little extra space between your drive and lawn. Not exactly the neatest job or the most attractive but tarmacking your drive can really help improve it. With tarmac you can easily park your cars on it, easily maintain your drive and know that it will last a long time. This may not be a cheap option for improving your driveway but the affects will be long lasting and worthwhile. 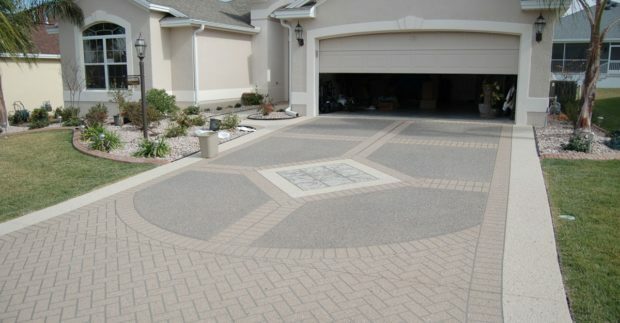 Improving your driveway means taking time to think about the impression you are giving. If your driveway ends with a garage then your garage door shouldn’t be shabby or old. It needs to be useful, working and stylish just like the rest of your driveway. Hormann have a variety of garage doors to choose from which means you can express your own style and choose the door which is right for your driveway. No, your driveway does not need to look like Blackpool illuminations and no, it doesn’t need to look like Santa is on his way. But, having a few outdoor lights or fairy lights up in the trees along the driveway means your drive is well lit. The benefits of this are that you can see where you are going, have a stylish well-lit driveway and deter any burglars who won’t want to burgle a fully illuminated house. Having a clean drive means you will come home to a perfectly neat space to park your car. Instead of looking towards your house and thinking how scruffy everything looks towards the garage and along the floor, you will see it looking clean and pristine. Make sure that your garage isn’t just sat at the end of your driveway with its new door on, looking new on the outside and unused on the inside. If you have room for your car in there then park inside. This will keep your car extra safe and make sure that your garage is put to good use. The most important part of improving your driveway is making sure you look after it just as you do the rest of your house. Use it as a car park, a place for guests to walk along or even to store your caravan. 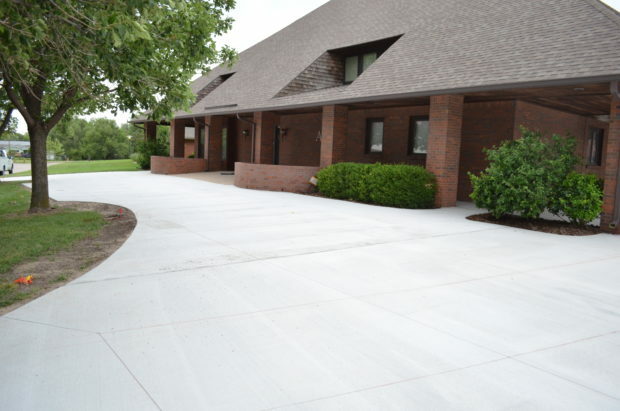 Whatever you do with it, stick with these 7 tips to see if you can see an improvement in the appearance of your driveway.